Not liking the “view” in your bathing suit or swim trunks? Get started on some CoolSculpting to reduce those dreaded love handles and tummy bulges! We have some fantastic specials going on this month! Spider veins cause many to avoid shorts and sometimes even capris. Sclerotherapy is an option to reduce those spider veins and “strut your stuff” once again…minus those dreaded vessels! Although the sun feels great and we need some of that natural Vitamin D—too much of a good thing isn’t so good. 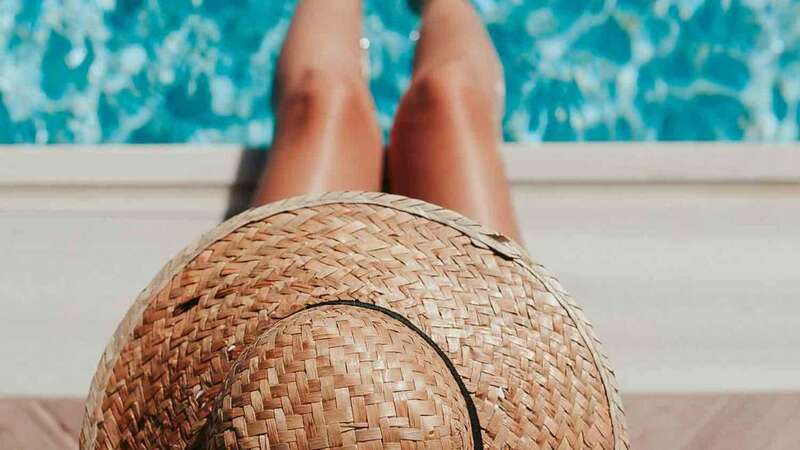 The ultraviolet rays in excess not only damage our skin at the cellular level bringing many issues—but also dries the skin contributing to wrinkles. Keep the moisture base in your skin with a HydraFacial and restore it as well. With the new Alastin TriHex Peptide serum used with that treatment, you will also give your “thirsty” skin a boost of collagen and Elastin stimulation! Wanting to enjoy the sun but also maintain a more youthful healthy skin? The new Forever Young BBL (FYBBL) is the way to go. You can correct reds and browns and then maintain and challenge your skin cells to act younger as shown in the recently released Stanford University 9-year study. We recommend a treatment in the spring, another after the summer activities are largely over, and once through the winter. Get started now—you’ll be glad you did as you’re “blessed with more years” 🙂 And, finally—get your sunscreen ready! And use it (a hat’s not a bad idea either!) lol! Above all, be blessed and smile! So as you think about your change of attire in anticipation of the summer, think also of the effect on your skin and get the treatments to help you correct and protect. You can continue or maybe just begin to “strut your stuff”! We’re here to help! Tags: beauty Chillicothe, beauty clinics Chillicothe, best summer laser treatments, how to get rid of love handles, how to get rid of spider veins, how to protect skin from the sun, how to rehydrate skin, laser clinics Chillicothe, What’s new at New Image?